This is not really a post about shopping, but since shopping is one of the experiences held in common by so many of us, it works as metaphor. A dozen years ago, if I thought I needed a new shirt, I would have headed to The Mall, where I could gaze at two dozen machine-made shirts, identical except for size and perhaps color. The plenitude was a reassuring reminder that we live in the Land of Too Much, and often I bought more than I needed. Such impassioned bonding happens with music also: I was two minutes into the first track of a new CD — its cover above — and my mental soundtrack alternated between, “Oh, my goodness, this is wonderful!” and the more defensive, “You’re not getting this CD away from me.” And then,addressing the invisible JAZZ LIVES audience, “You need to hear this,” I thought. “This” is the debut CD of Jacob Zimmerman and his Pals called MORE OF THAT, and to use my own catchphrase, it has increased my happiness tremendously. The cover drawing, which I love, by Jesse Rimler, says much about the cheerful light-heartedness of the enterprise. Why has this twenty-first century Nipper got his head in a protective cone? Has he been biting himself? Is the cone a visual joke about the morning-glory horn? Is this the canine version of cupping a hand behind your ear to hear your singing better? All I know is that this dog is reverently attentive. You’ll understand why. Here is Jacob’s website, and you can read about his musical associations here. I had heard Jacob’s name bandied about most admiringly a few years ago; he appeared in front of me in the Soho murk of The Ear Inn and was splendidly gracious. 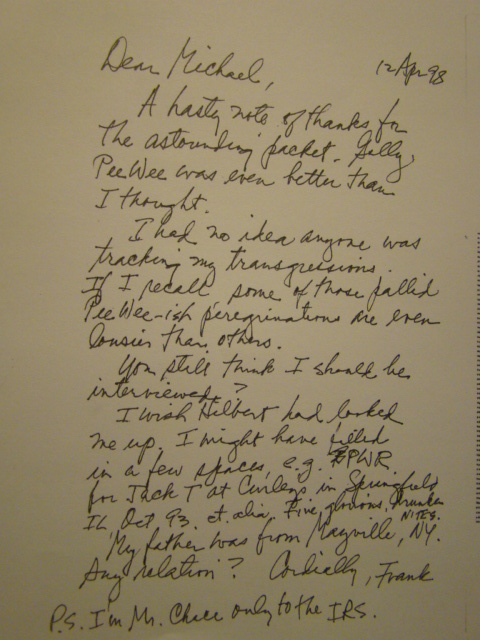 He’d also received the equivalent of the Legion of Honor: he was gigging with Ray Skjelbred. But even these brightly-colored bits of praise did not prepare me for how good this CD is. The overall ambiance is deep Minton’s 1941, Keynote, and Savoy Records sessions, that wonderful period of music where “swing” and “bop” cuddled together, swinging but not harmonically or rhythmically constrained. And although Jacob and Pals have the recorded evidence firmly in their ears and hearts, and under their fingers as well, this is not Cryogenic Jazz or Swing Taxidermy (with apologies to Nipper’s grandchild on the cover). As a leader, Jacob is wonderfully imaginative without being self-consciously clever (“Didja hear what the band did there? 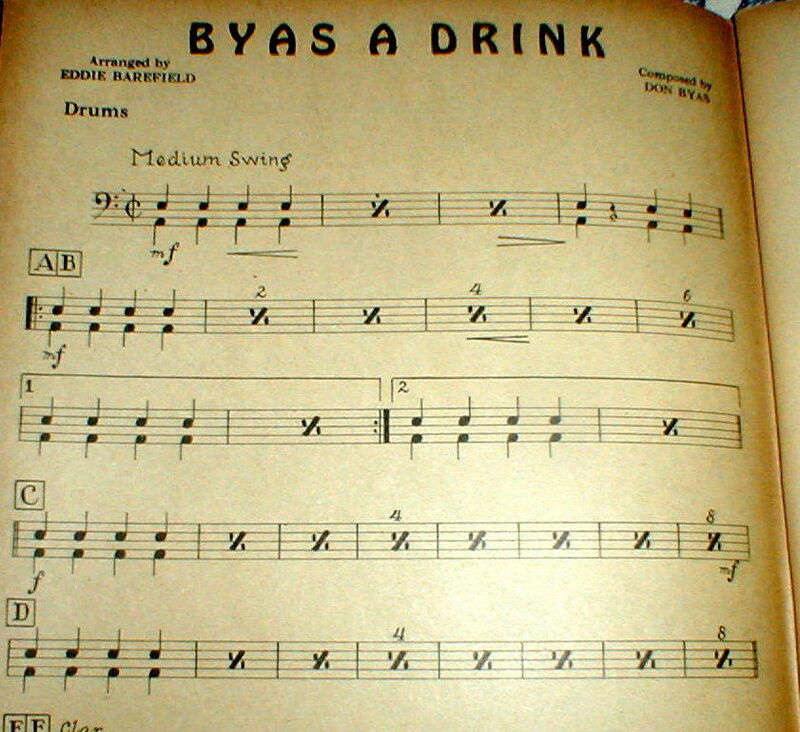 Didja?”) Each performance has a nifty arrangement that enhances the song rather than drawing attention from it — you could start with the title tune, MORE OF THAT, which Jacob told me is based on MACK THE KNIFE, “MORITAT,” so you’ll get the joke — which begins from elements so simple, almost monochromatic, and then builds. Each arrangement makes full use of dynamics (many passages on this CD are soft — what a thing! ), there’s some dark Ellingtonia and some rocking neo-Basie. And each song is full of delightful sensations: when I get through listening to BALLIN’ THE JACK (a song often unintentionally brutalized) I think, “That’s under three minutes? How fulfilling.” So the Pals are a friendly egalitarian organization with everyone getting chances to shine. Before I get deeper into the whirlpool of praise, some data. Jacob plays alto and clarinet (more about that in a minute), aided immeasurably by: Matt Weiner, string bass; Josh Roberts, guitar; Ray Skjelbred, piano; D’Vonne Lewis, drums; Cole Schuster, guitar; Christian Pincock, trombone; Meredith Axelrod brings voice and guitar to the final track. And the compositions: RADIATOR / SOMETIMES I’M HAPPY / FIRST THURSDAY / SONG OF THE ISLANDS / BLUE GUAIAC BLUES / BLUES FOR SIR CHARLES / IN A SHANTY IN OLD SHANTY TOWN / MORE OF THAT / BALLIN’ THE JACK / BROTHER, CAN YOU SPARE A DIME? / SCULPT-A-SPHERE / I AIN’T GOT NOBODY. All immensely tasty, none crowding its neighbor. This being the twenty-first century, many saxophonists live in a post-Parker era, which works for some. But Jacob has deeply understood that there are other sounds one can draw upon while playing that bent metal tube: a mix of Pete Brown (without the over-emphatic pulse), Hilton Jefferson (rhapsodic but tempered), and Lee Konitz (dry but not puckering the palate). On clarinet, he suggests Barney Bigard but with none of the Master’s reproducible swoops and dives: all pleasing to the ear. Because I have strongly defined tastes, I often listen to music with an editor’s ear, “Well, they’re dragging a little there.” “I would have picked a brighter tempo.” “Why only one chorus?” and other mind-debris that may be a waste of energy. I don’t do that with MORE OF THAT, and (imagine a drumroll and cymbal crash) I love this CD so fervently that I will launch the JAZZ LIVES GUARANTEE. Buy the disc. Keep the jiffybag it came in. Play it twice. 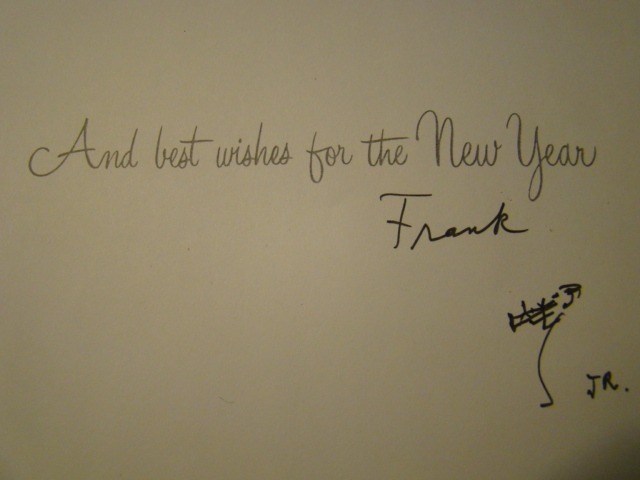 If you’re not swept away, write to me at swingyoucats@gmail.com, send me the CD and I’ll refund your money and postage. I don’t think I will be reeling from a tsunami of mail, and should some people (inexplicably) not warm to this disc, I’ll have extra copies to give away. 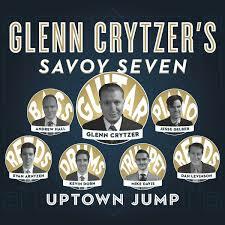 Guitarist / singer / composer / arranger Glenn Crytzer has done something remarkable on his latest CD, UPTOWN JUMP. Rather than simply offer effective copies of known jazz recordings, he has created eighteen convincing evocations of a vanished time and place. So convincing are they, I believe, that if I were to play a track from another room to erudite hearers, they would believe they were hearing an unissued recording from 1943-46. 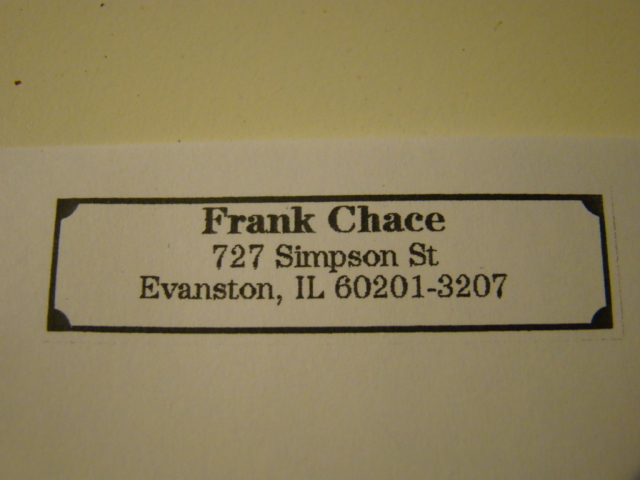 Of course there is explosively fine soloing on the CD — given this cast of characters, I’d expect nothing less. But what particularly impressed me is Glenn’s ability to evoke the subtleties of the period. I hear evocations of a particular time and place: let’s call it a Savoy Records session from 1944, with Emmett Berry, two or three saxophones (Ike Quebec, Eddie Barefield, Foots Thomas); a rocking rhythm section with allegiances to Basie, Pete Johnson, Tiny Grimes, Bass Robinson, Eddie Dougherty, Specs Powell. Then there’s his evocation of the incendiary blues playing that closes JAMMIN’ THE BLUES. And a whimsical post-1943 Fats Waller love song (WHAT DID I DO?) complete with the leader’s wry vocal. A few more random and delighted listening notes. UPTOWN JUMP begins with a wild clarinet – drum duet that I would have expected to hear on a V-Disc; NOT FAR TO FARGO has the grit of an Ike Quebec Blue Note side; IT’S ABOUT TIME (which begins with Kevin Dorn ticking off the eroding seconds) would be a perfect dance number for a Soundie, with a hilariously hip vocal by the composer. Mike Davis has been studying his Cootie (he gets an A+) on THE ROAD TO TALLAHASSEE, which has a delightful easy glide. SMOKIN’ THAT WEED is the reefer song — with falsetto vocal chorus effects — that every idiomatic CD or party needs. 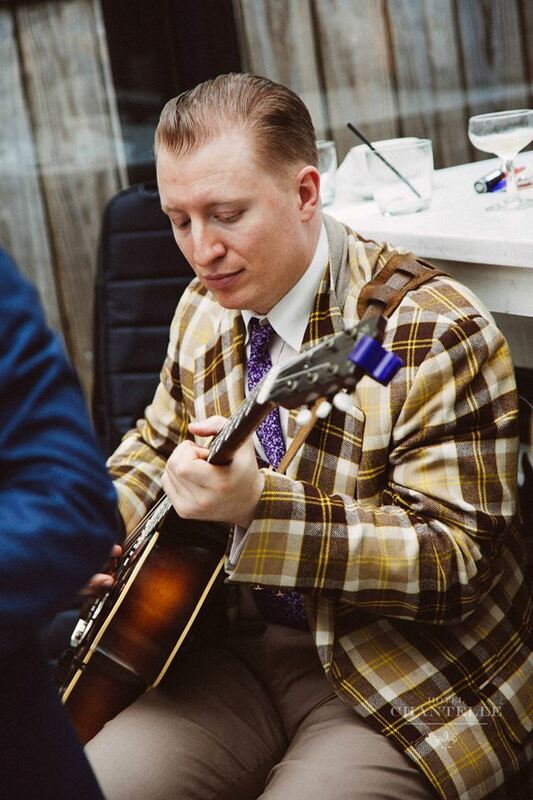 And Mike’s solo is full of those “modern” chords that were beginning to be part of the vocabulary in wartime. MRAH! shows Glenn’s affection for the possibilities of the John Kirby sound, which I celebrate. THAT ZOMBIE MUSIC depicts the illicit union of Kirby and Spike Jones. COULD THIS BE LOVE? is a winning hybrid — a rhythm ballad with winsome lyrics, voiced as if for a Johnny Guarneri session, with some of that Gillespie “Chinese music” stealing in. THE LENOX would get the dancers rocking at The Track. GOOD NIGHT, GOOD LUCK is that antique cameo: the song to send the audience home with sweet memories. If it sounds as if I had a wonderful time listening to this CD, you have been reading closely and wisely. More reliable than time-travel; more trustworthy than visits to an alternate universe. The nicest way to buy an artist’s CD is to put money in his / her hand at the gig, so here is the link to Glenn’s calendar . . . to catch up with him. But if you’re far away, this makes purchasing or downloading the music easy. Now, I don’t harbor a serious desire to go back to 1945. Were I there, wouldn’t I be dead by now? (The logic will keep me up at night.) 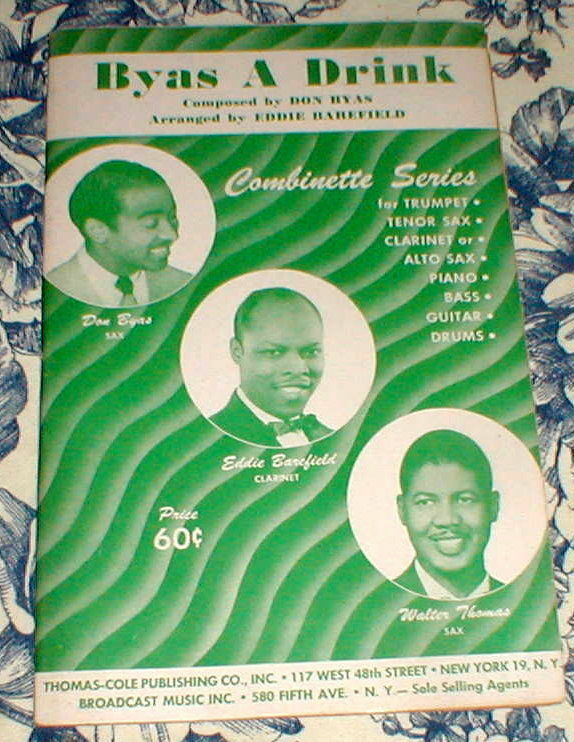 But the thought of Don Byas, Eddie Barefield, and Walter “Foots” Thomas making an idea like this available for sale . . . so that I could have a “unique style set” for my modern combo. Very enticing. And here is the actual link. You won’t believe what you read or what you hear. Posted in Awful Sad, Jazz Worth Reading, Pay Attention! The stuff is here and it’s mellow! 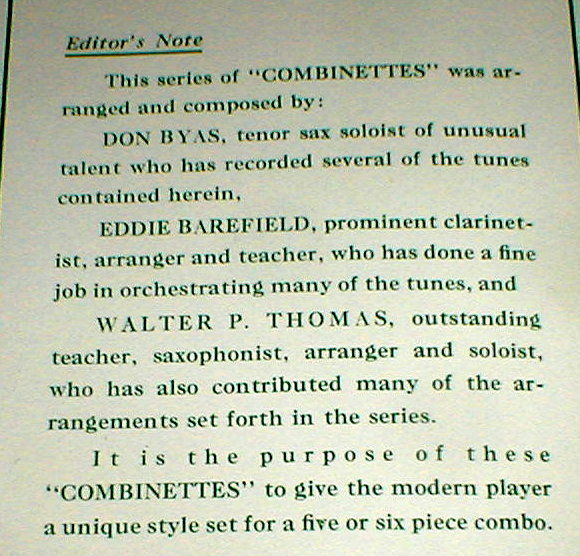 Many jazz musicans present themselves not only as players but as composers, with varying results. Seattle-based Glenn Crytzer — guitarist, banjoist, singer — is one of those rare creative beings who beautifully fills both roles. The evidence is on YouTube, and most recently on a new small-band CD, HARLEM MAD, which presents twenty (count ’em) originals by Glenn, with star turns by Meschiya Lake, Solomon Douglas, and Ray Skjelbred. Instead of brooding “compositions” that serve only as jumping-off places for long solos, or thirty-two bar borrowings that take their A section from something familiar and their B from something even more so, Glenn’s songs have real shape and authenticity. On HARLEM MAD, you’ll hear a broad variety of performances that could be taken from the archives — unissued takes and masters from 1926 to 1949, from Glenn’s own take on rough-hewn South Side Chicago of the Twenties (Jelly Roll Morton, Jimmy Bertrand) to cheerfully lopsided jump tunes that nod to Monk as well as Jacquet and Byas. I thought of Rod Serling — a jazz fan wanders into a diner where he’s never been, in an unidentified time and place. The coffee is hot; the apple pie is fine . . . . and the jukebox needs no coins and plays one wildly appealing yet unfamiliar song after another . . . But this isn’t the Twilight Zone, and HARLEM MAD isn’t a science-fiction dreamlike artifact. See what I mean? The compositions on HARLEM MAD are the title song / TEN ‘TIL FIVE / YOU DON’T SAY / WITCHING HOUR BLUES / FORTUNATE LOVE / BARNEY’S BOUNCE / PAYIN’ NO MIND / CENTURY STOMPS / NEW YEAR BLUES / WALLINGFORD WIGGLES / I GOT NOTHIN’ / LAZY / THE CLAWJAMMER / MR. RHYTHM / FUMBLIN’ AROUND / THE DEPRIVATION BLUES / RAINIER VALLEY RHYTHM / PARC ON SUMMIT / THE BEAVER BUMP / NICE AND SLOE. The multi-talented musicians on the CD are Steve Mostovoy, trumpet / cornet; Dave Loomis, trombone; Craig Flory, clarinet / tenor; Paul Woltz, alto / brass bass; Ray Skjelbred or Solomon Douglas, piano; Glenn Crytzer, guitar / banjo / vocal; Dave Brown or Matt Weiner, string bass; Mike Daugherty, drums / washboard; Meschiya Lake, vocals. Glenn Crytzer and the Syncopators are just that good, just that swinging. 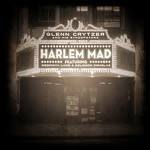 and for more information about HARLEM MAD, visit Glenn’s website: http://www.syncopators.com. Mellow indeed.